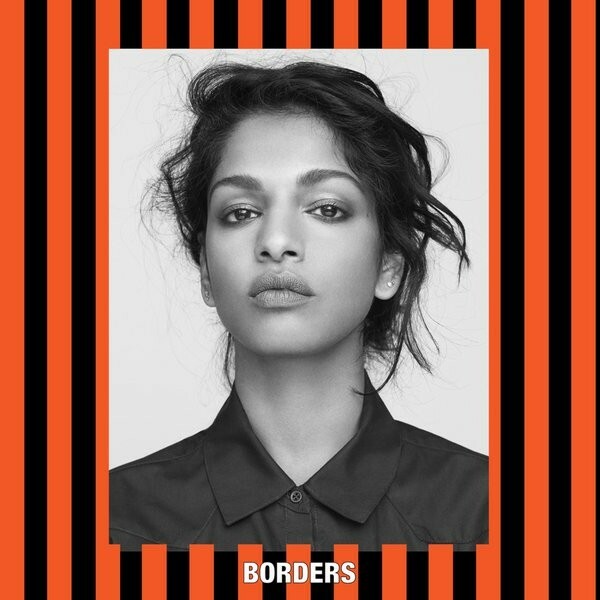 Today, the British artist of Sri Lankan descent premiered Borders, a track that proves she remains unique in her ability to implement ideas about pop culture and important global topics. With it comes a self-directed video, which makes a compelling statement on the continuing migration crisis, chastising the response of European politicians and lamenting the arrival of border fences to keep out migrants. The video mimics the hazardous journeys faced by migrants, showing a flotilla of boats laden with refugees. Other scenes show individuals scaling massive fences topped with barbed wire, a reference to the series of securitised border fences erected by number of countries to keep out refugees. The track, which sonically fuses eastern and western styles, questions the fabric of modern society – politics, identities, privilege, “being bae”, “breaking the internet” and smartphones – before reducing the world down to its essentials: your values, your beliefs, your families, your power. When we’re talking in our sleep, does it listen on a system?